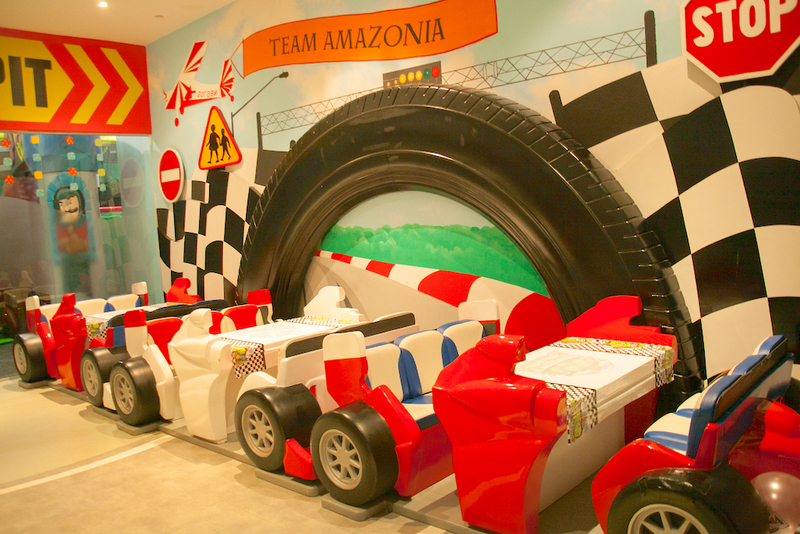 Amazonia Singapore has been around for some time, but it’s still one of our favourite indoor playgrounds in Singapore. 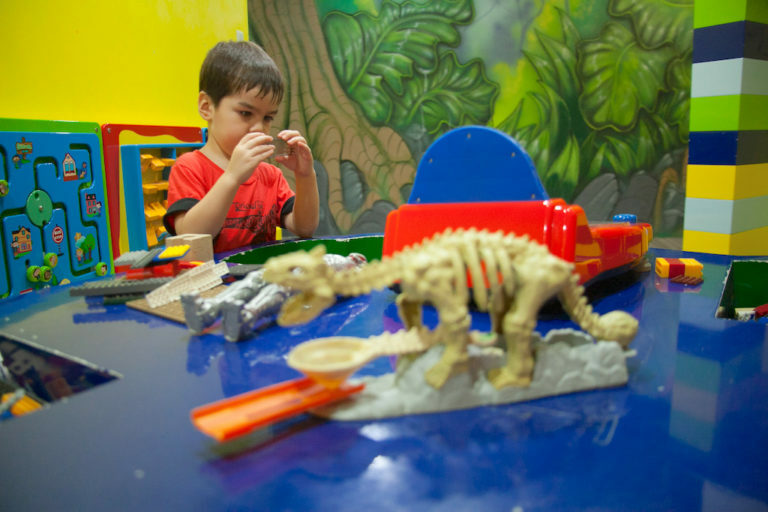 SingaporeMotherhood’s intrepid explorer Elliott finds out why kids of all ages (and mummies too) love it. 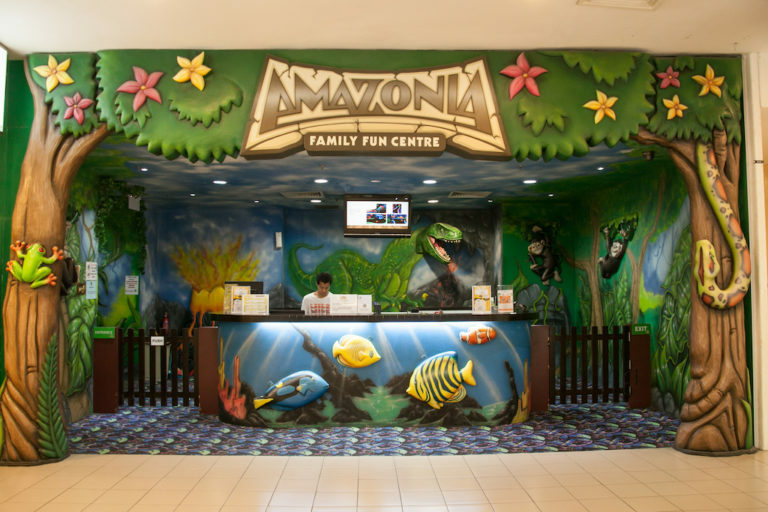 Amazonia Singapore is a children’s indoor playground located in Great World City. It has been around for a while, but we only discovered it when we went to visit, and fell in love with the place. Why? 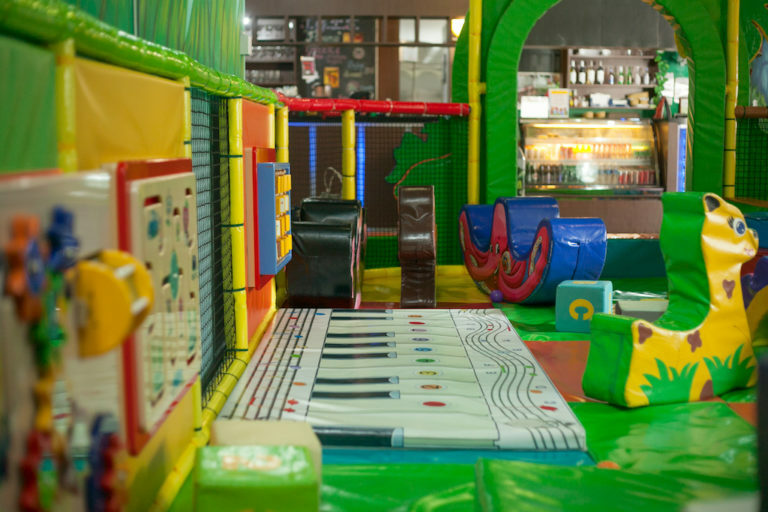 Firstly, it’s not just another indoor playground for kids to play in. 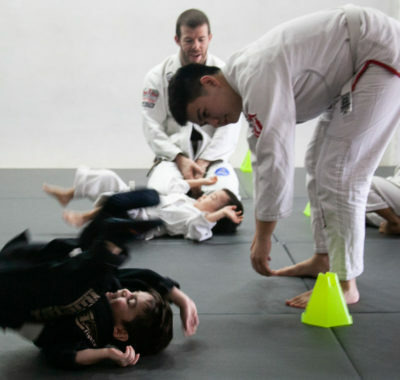 The whole family can have fun there. In addition to that, it’s a wonderfully immersive experience for all, with décor and structures that bring us right into the heart of the Amazon jungle. That’s probably why they call themselves “Singapore’s first fully themed and integrated Family Entertainment Centre”. It’s certainly an apt description! The excitement begins right from the entrance. 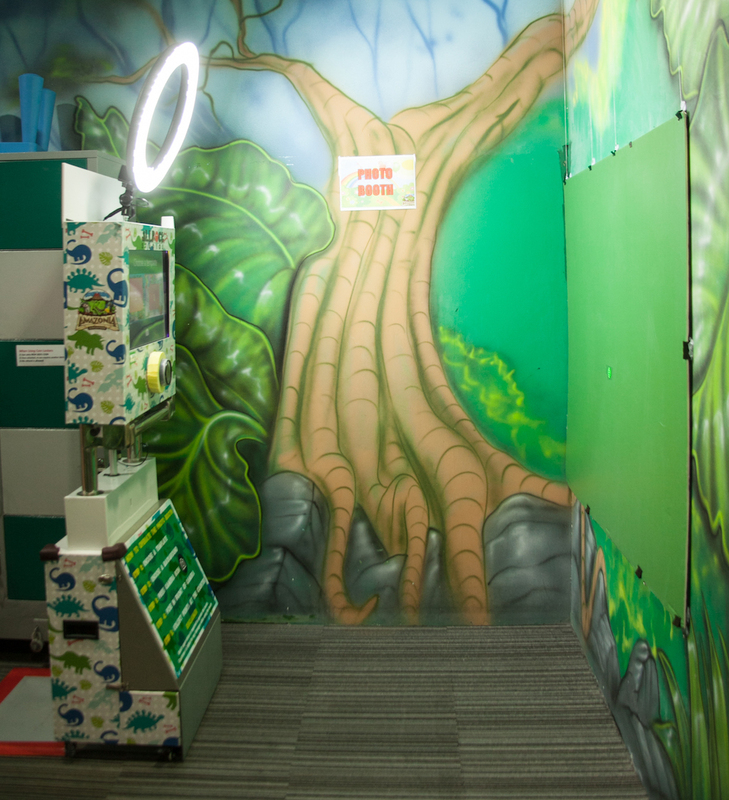 Walking in, we see animal and tree installations on the walls introducing us to the ‘jungle’ theme. Then we walk down a corridor of greenery that makes us feel like we’re wandering through a jungle. Finally we emerge into an Amazonian paradise! 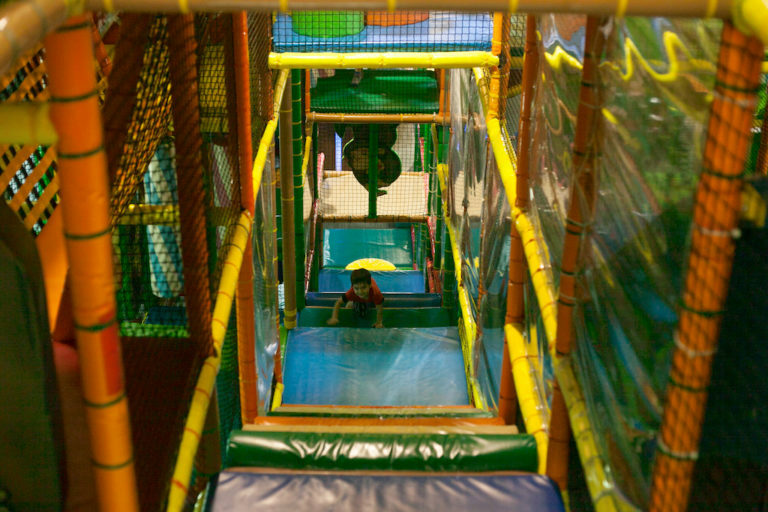 It’s a little dim here, so make sure that your little ones watch their steps. Hold on to them, and look where you are going too. Don’t worry, it’s not so dark that you’d need to turn on your mobile phone’s torch to get around! In fact, the light level gives the place a cosy vibe, kind of as if we are within the comforting embrace of the forest. We can’t wait to get started. 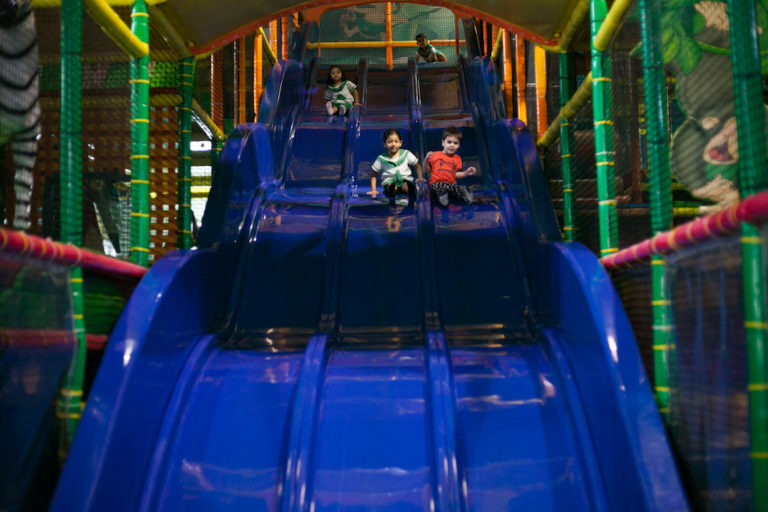 Once inside, Elliott is immediately drawn to the eight-metre long slide, the longest in an indoor playground in Singapore! 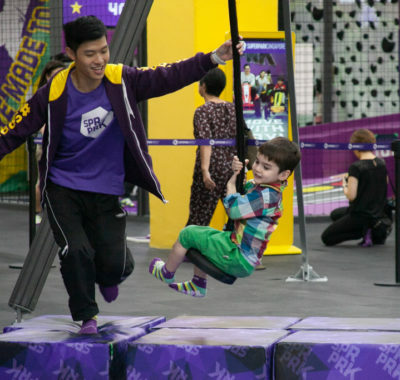 I love that it is lengthy enough to give the kids a thrilling ride, yet short enough so that parents feel it’s safe to chill instead of hovering while the kids play. At first glance, you won’t see much more than the slide. Walk behind the slide and you’ll find FOUR levels of jungle play gym fun! 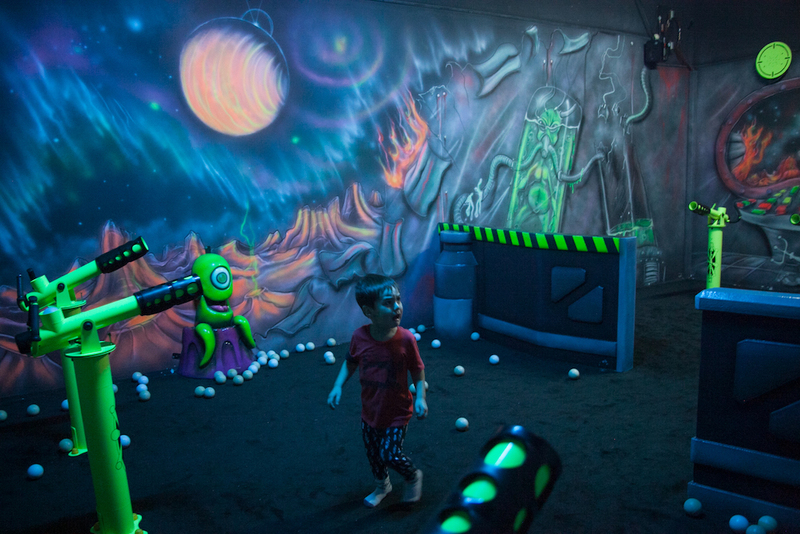 There’s a kiddy course with tunnels and obstacles and hidden slides within a maze. You’ll have to crawl over some climbing webs to get to these but Elliott doesn’t have the confidence to do that yet to so we find other places where he can have fun. By the side of the huge jungle play gym is a large ball pit where Elliott has a ball (can’t resist, sorry!) of a time. There’s also a specially-created soft play area for toddlers below three years old. 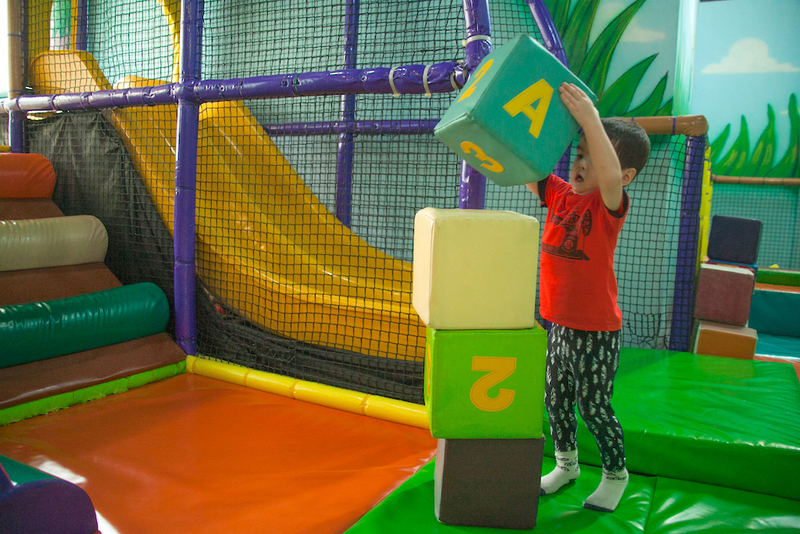 There are interactive play panels, a musical keyboard (step on the on padded keys to make music), a ball pit, a mini slide, and lots of big soft blocks to play with. 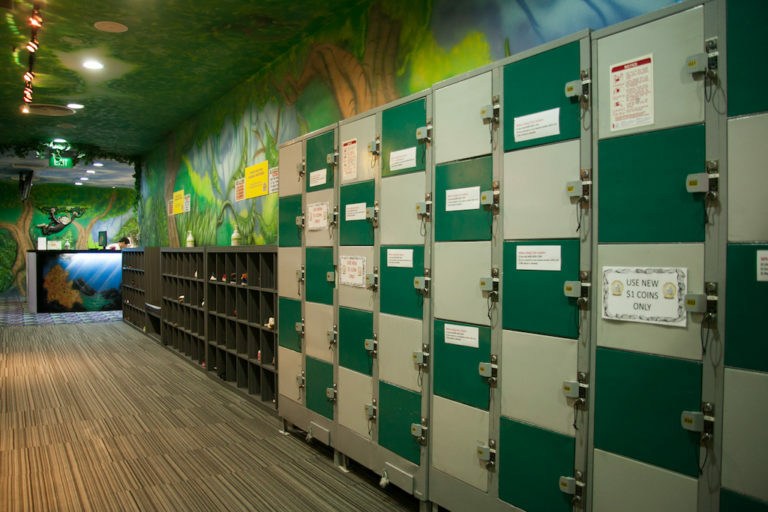 The entire area is padded so toddlers can roam around and play safely. That’s a big tick in my playground checklist! 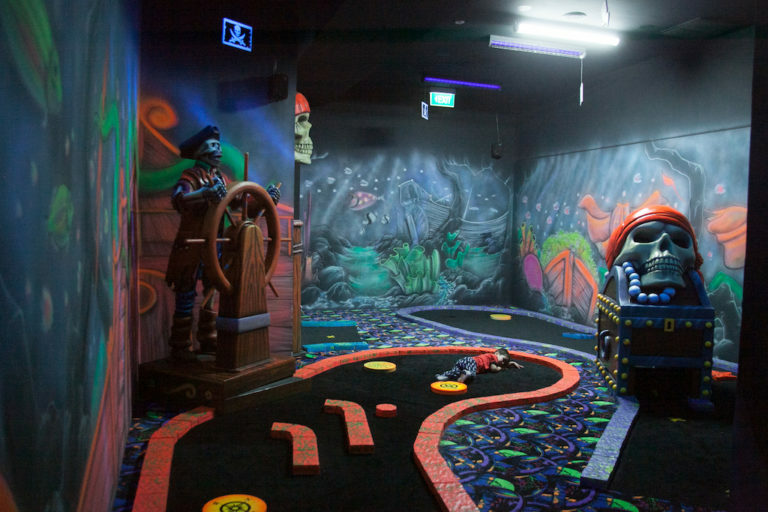 There are also three themed rooms where bigger kids can play. 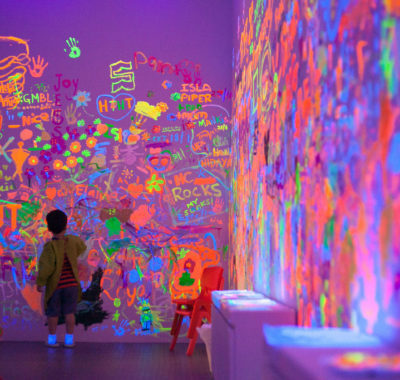 This room is very florescent and was a little to overwhelming for Elliott. Because we are here on a weekday morning, there isn’t anyone else playing here either. Generally, you can form two teams to shoot at the targets above your opponents and see who scores the higest hits. Looks like something I would enjoy, hehe. I love the under the sea theme but the moment we step in I know Elliott will freak out once he sees the octopus (because he has an irrational fear of these tentacled creatures). Indeed, he does. But I love the whole under-the-sea, pirates and treasures, and scary sea creatures theme. Bet older kids would love it too. 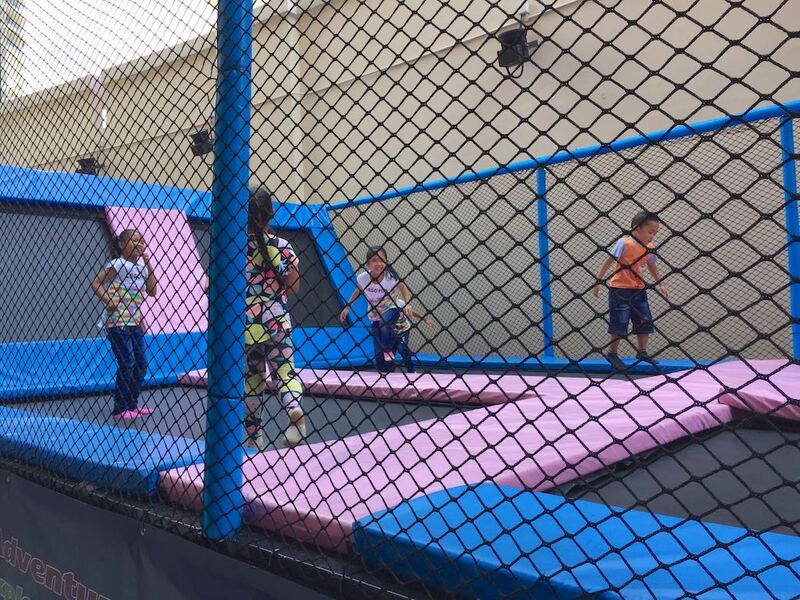 Apart from this trampoline, there is a huge bouncy castle on the outdoor patio. This would be something that Elliott will love but it’s raining so we give it a miss. There are two 4D themed party room which kids will LOVE. One has a race tracks theme. The room is decorated to look like an F1 race track, with race car-themed booth tables and benches. Remember the movie Cars? 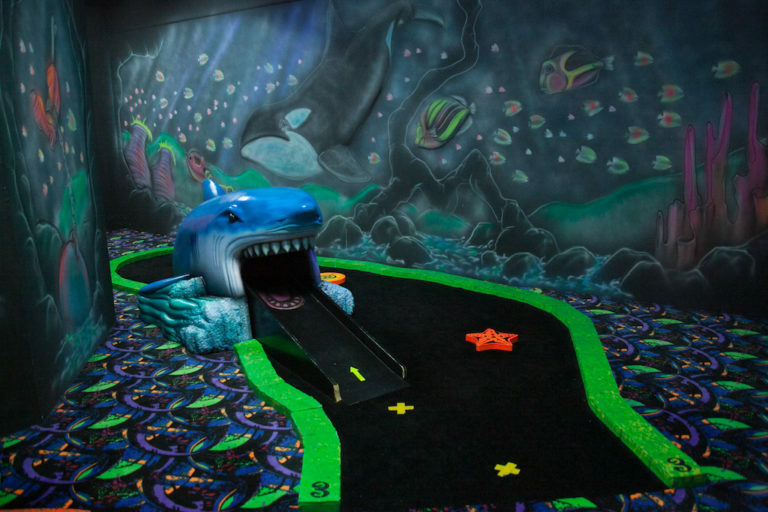 If your kids love it, this is their dream party room. 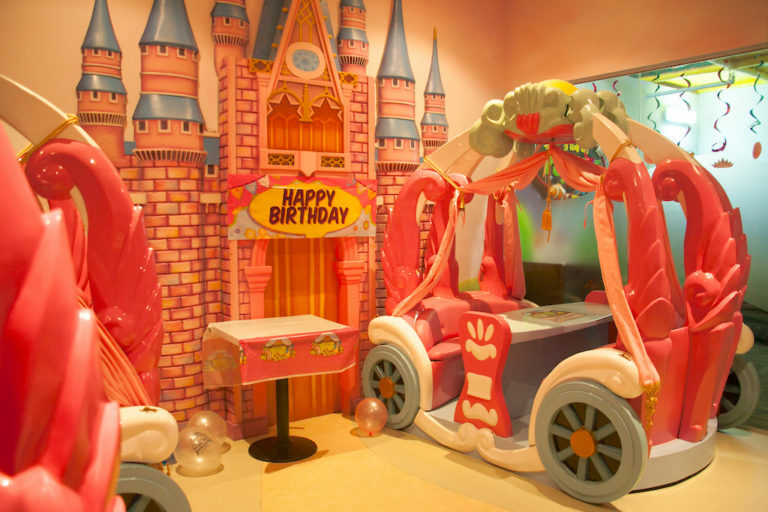 The other is done up in a princess theme, with pink pink pink every where. There’s a castle on the wall, and carriages where little princesses can dine in! 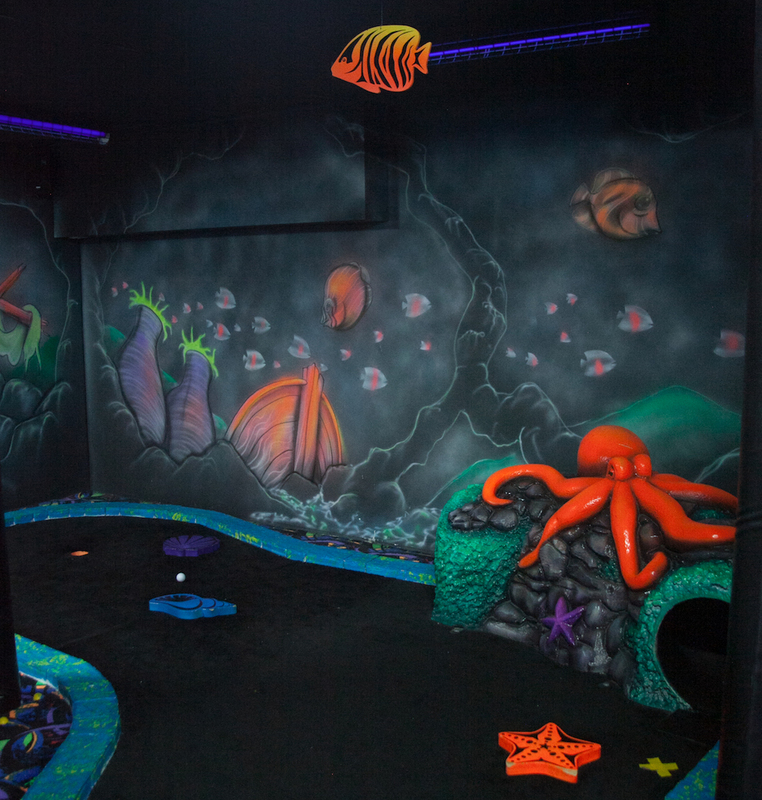 This room is a little girl’s fantasy come true (and maybe some mums’ too). On to Mummy’s favourite part of this place: The Bistro! 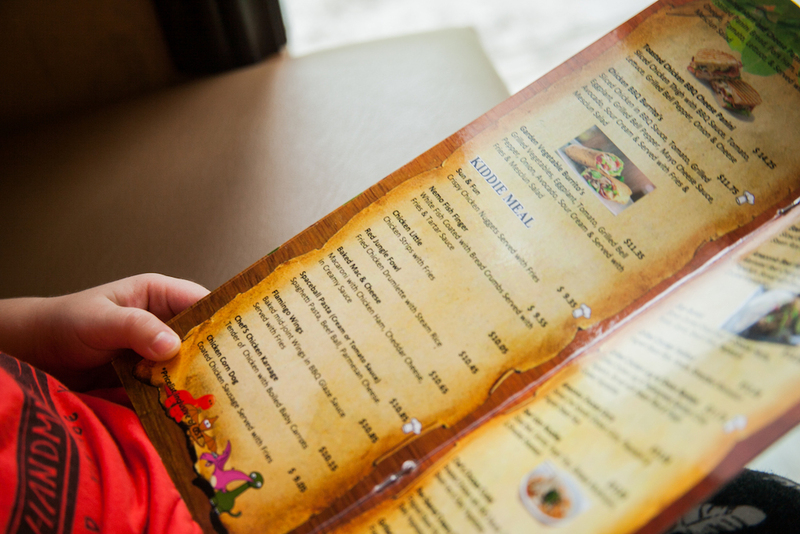 There’s a wide menu of different cuisines from American to Italian to local delights, and kids are spoilt for choice too. They serve freshly squeezed juices and booze! 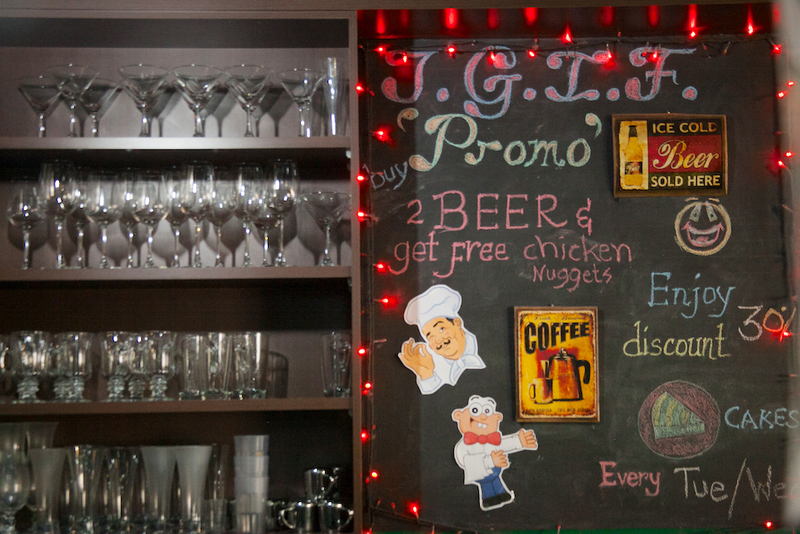 There are also wines and pretty good coffee too. 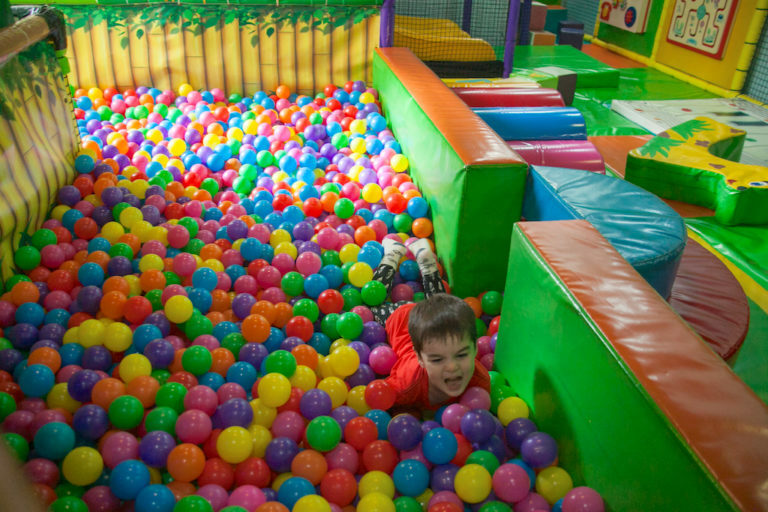 I love bringing my kid to indoor playgrounds but let’s be honest. It can get a little boring for mummies at places that don’t serve good coffee or have decent choices of food. And I must say, a little alcoholic beverage on a weekend is pretty nice for parents after a hectic week. Just remember not to drink and drive! So yes. 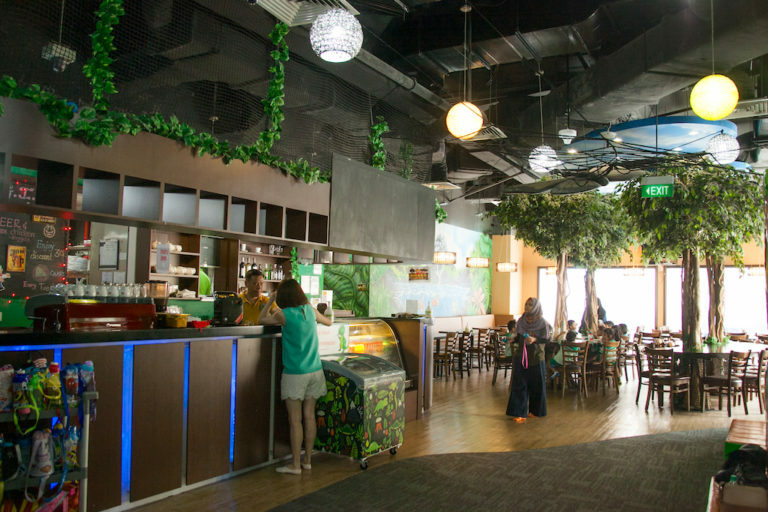 This is the place where I will not be embarrassed to invite my adult friends to have a meal and chat while Elliott plays for a couple of hours. 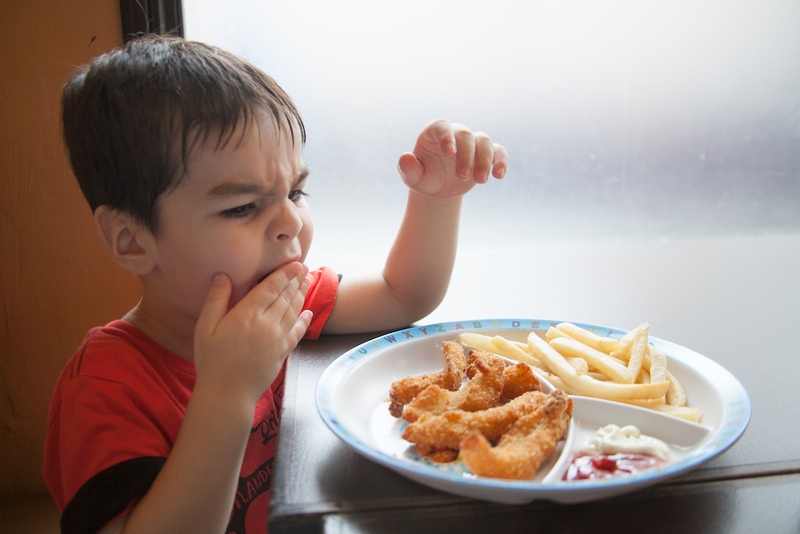 I ordered Nemo Fish Fingers for Elliott and he woofed it up quickly. 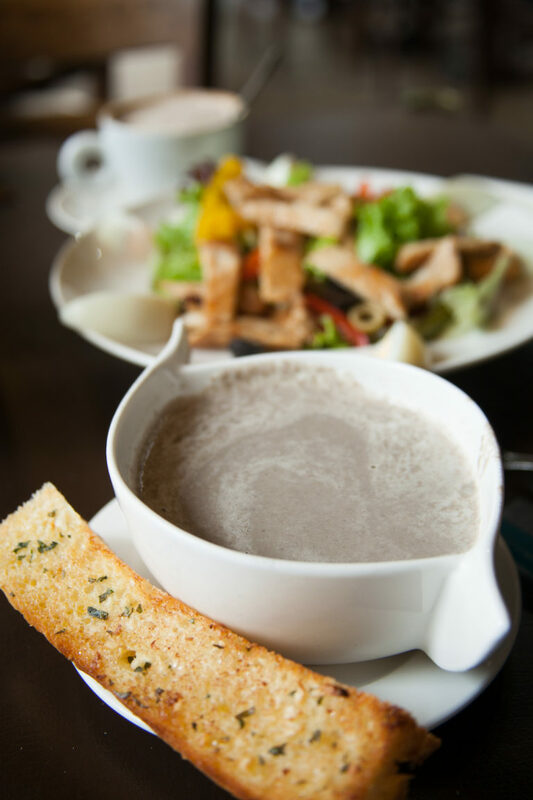 He also liked the mushroom soup, which came filled with lots of mushroom and cream. I decided to go healthy and had a Chef Salad with Cajun Chicken. It was a good portion and so fresh and wholesome, I devoured every bit of it. 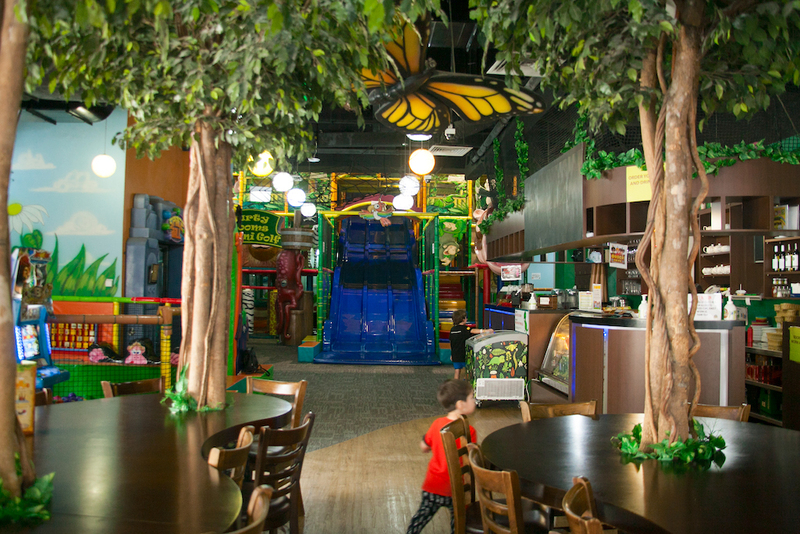 Want a keepsake of your fun here before leaving this magical jungle? 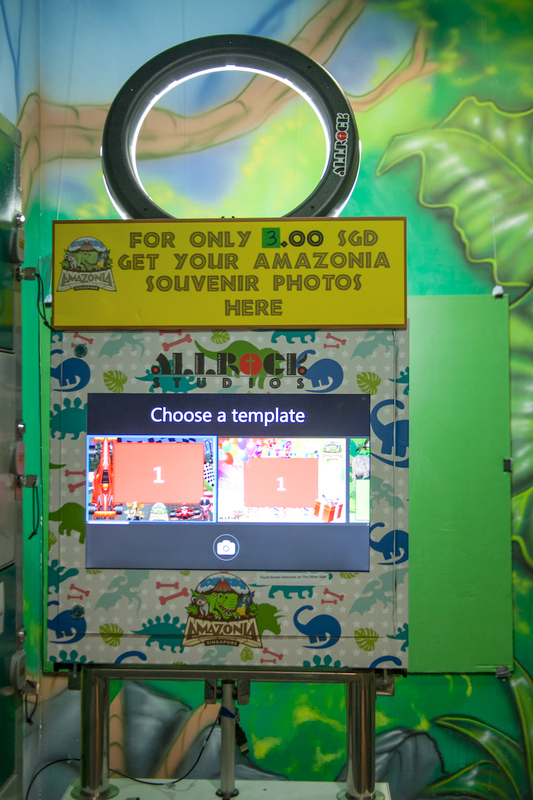 There is a green screen photo booth next to the lockers where you can pose for a picture against different backdrop themes. Elliott’s currently crazy about everything to do with birthdays, so we did a birthday themed photo even though his isn’t here yet. He was as thrilled as if it was. 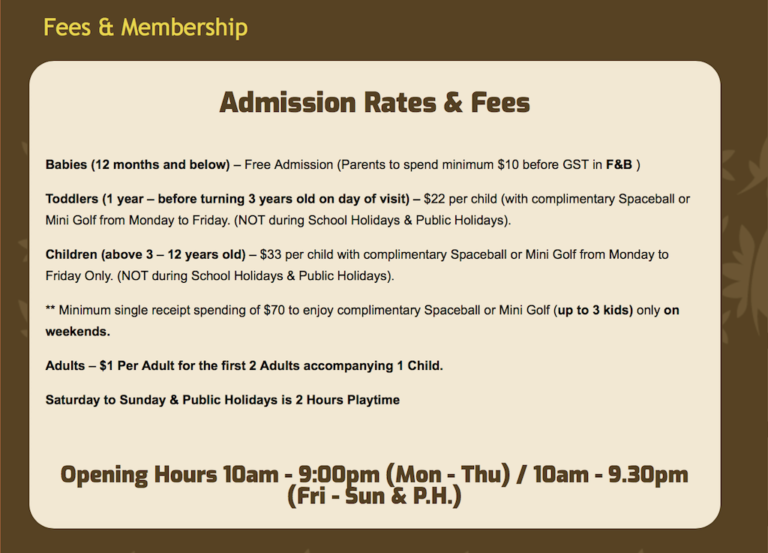 Needless to say, we’ll be back at Amazonia Singapore again (and again, and again) very soon. CNY clothes for Kids: These 12 #MadeInSingapore brands have the Most Stylish ones for 2018!